Angola is a country situated in the South-West part of Africa, and has only recently come out of three decades of an atrocious war. The war adversely impacted all aspects of life, specially the education sector. The need for education is huge and urgent in this country, because more than a half the population of this country estimated to be 12 million is under 24 and of those more than half are children, many of whom have never been to school or have been only sporadically in school. At Aurora we beleive that providing them with a good education is the most effective way to garantee that these youngsters can break the cycle of poverty, misery and dependence that is so prevalent. 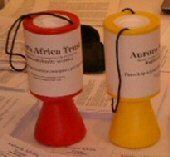 To learn more about Aurora_Africa_Trust or the Angolan_School_Project	click on these links or the corresponding button at the top of	this page.